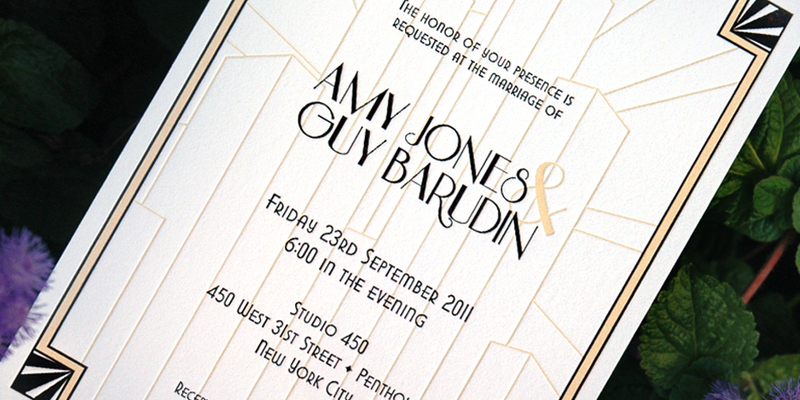 This art deco invitation suite focusing on New York city was stylish and sophisticated. 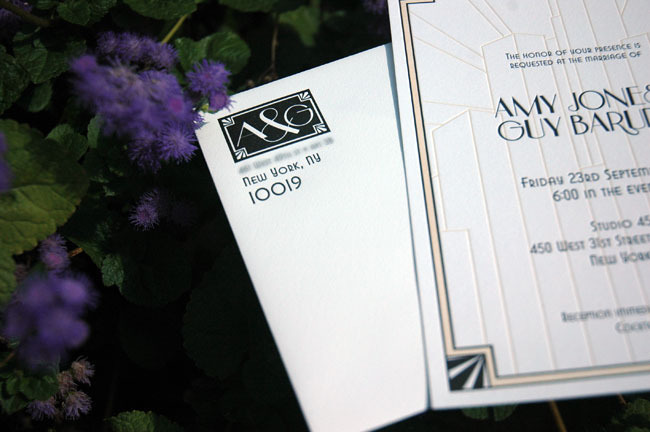 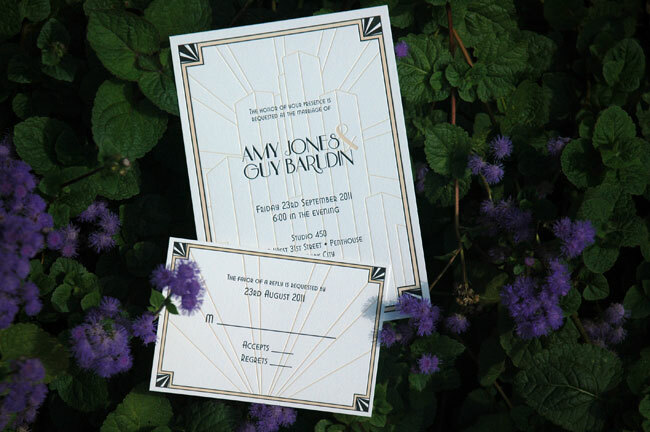 Both the invitation and reply card were printed using Cranes 110lb Flourescent White Stock. 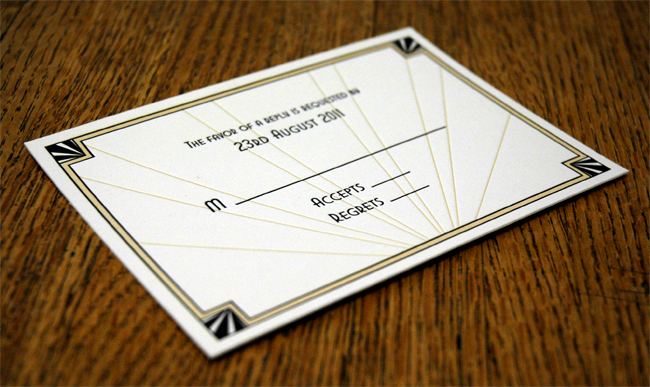 The champagne color was incredibly tricky to mix but looked incredible once we got it perfect. 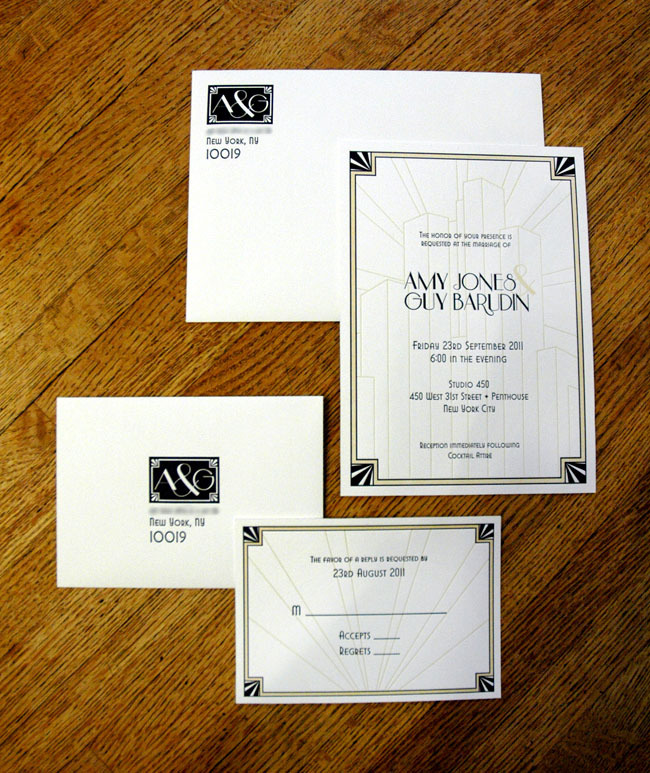 This suite was designed by Christie Scanlan.